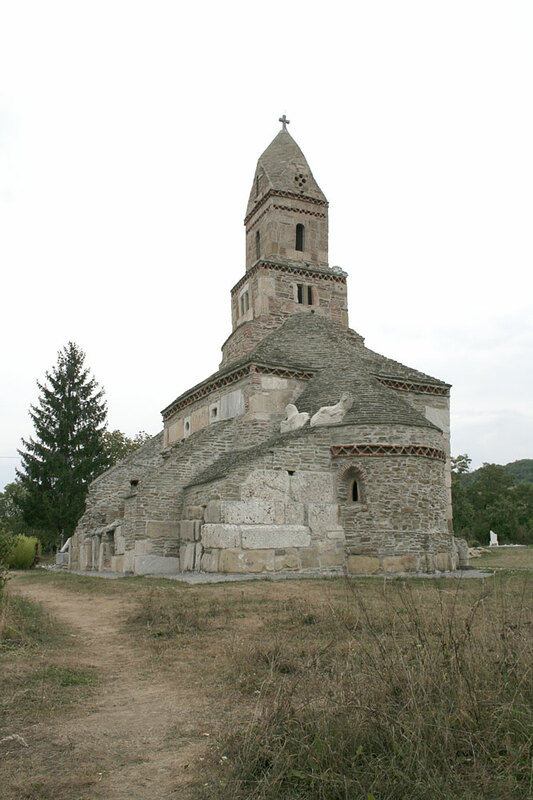 marble taken from the Dacian Sarmizegetusa fortress. 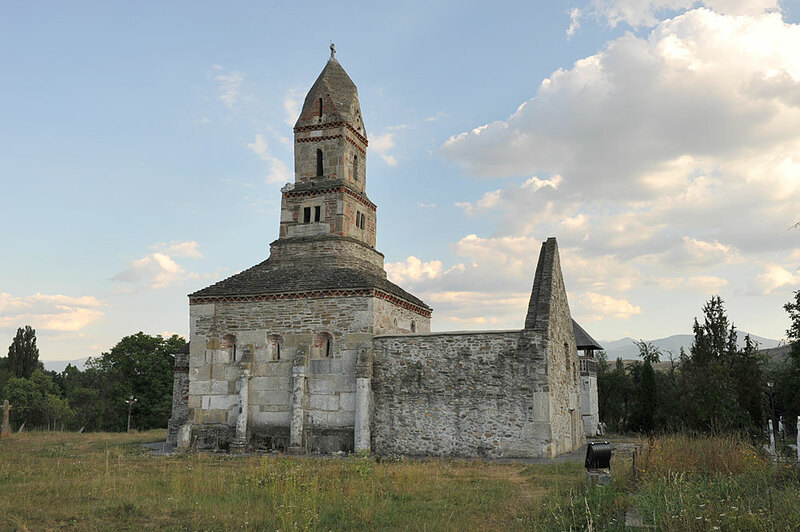 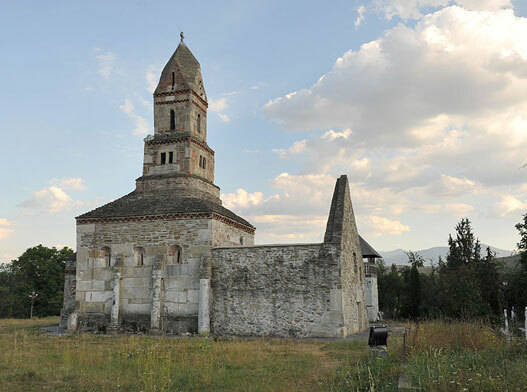 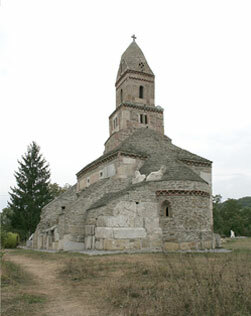 It has an apse and a stone tower above the naos. 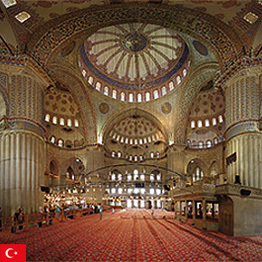 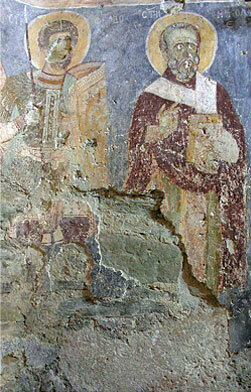 Inside the church there are 15th century (1443) mural paintings made by painter Stefan. 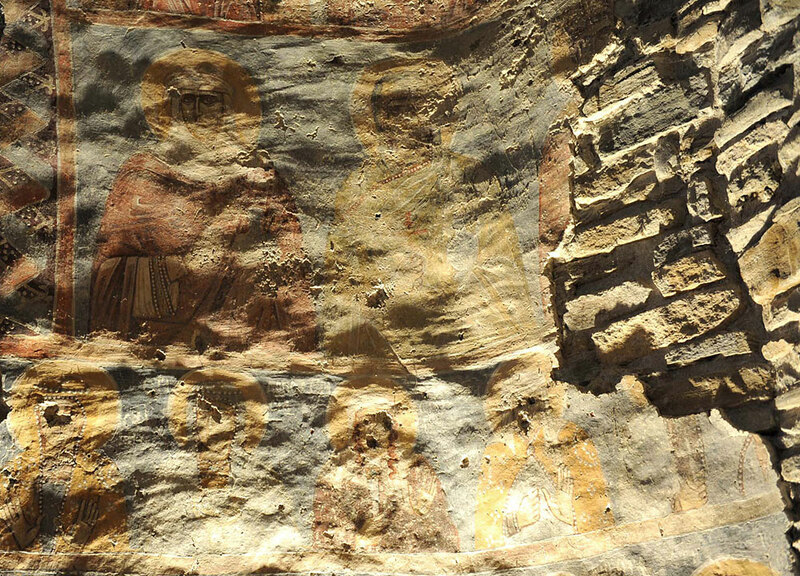 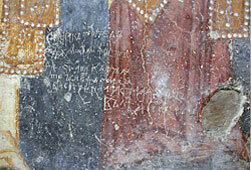 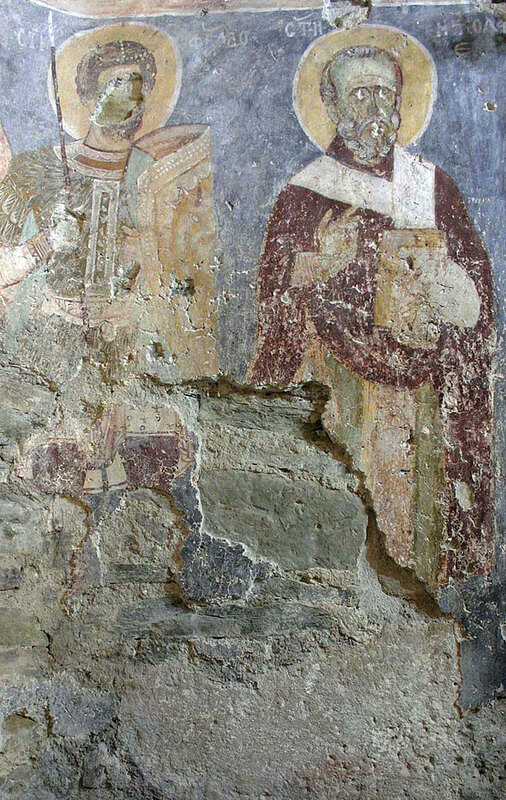 The painting decorating the church of St. Nicholas in Densus was made using the affresco technique. 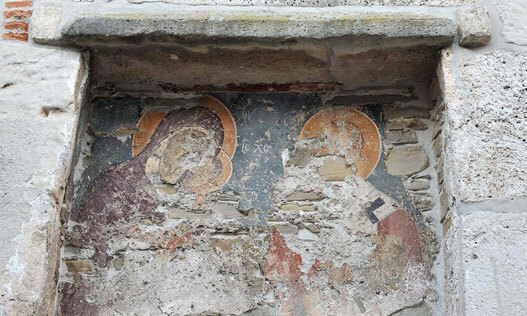 The plaster that binds the stone blocks is made out of lime paste and sand with different grain sizes. 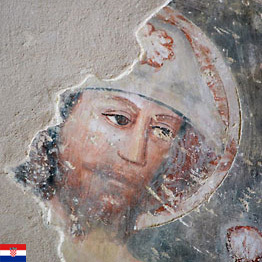 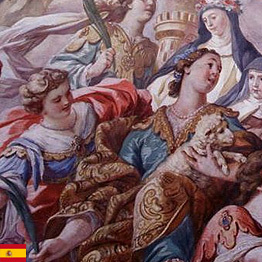 The plaster on which the painting is executed in affresco technique is often composed of two layers: arriccio and intonaco but at Densus there is a simplification of the process described above – it was applied a single plaster layer with a dual purpose. 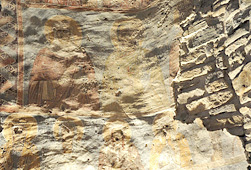 The intonaco was made of lime plaster and chaff. 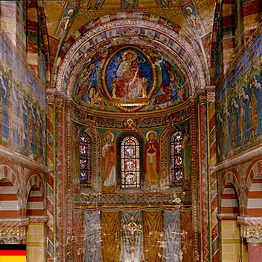 The pigments are the ones used in wall paintings in the XVth century: white lime, charcoal black, yellow and red ochre, green earth, cinnabar red, azurite blue. 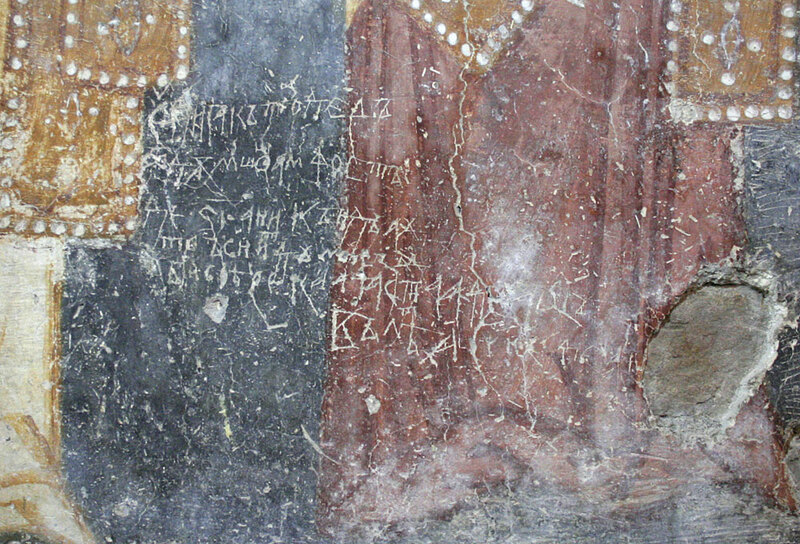 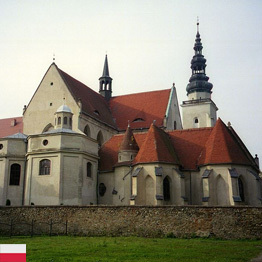 The technique of the paintings and their constituent materials are specific for the wall paintings of the fifteenth century in Transylvania. 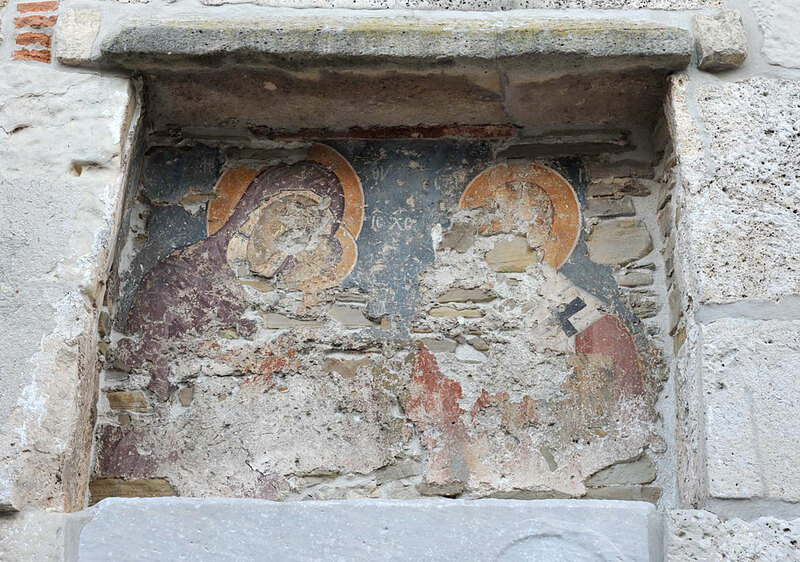 It can be stated that the technical execution of these murals have conditioned their good state of preservation and strength for over half a millennium.